The jacquard weave is quite literally the fabric of the Artipoppe brand. 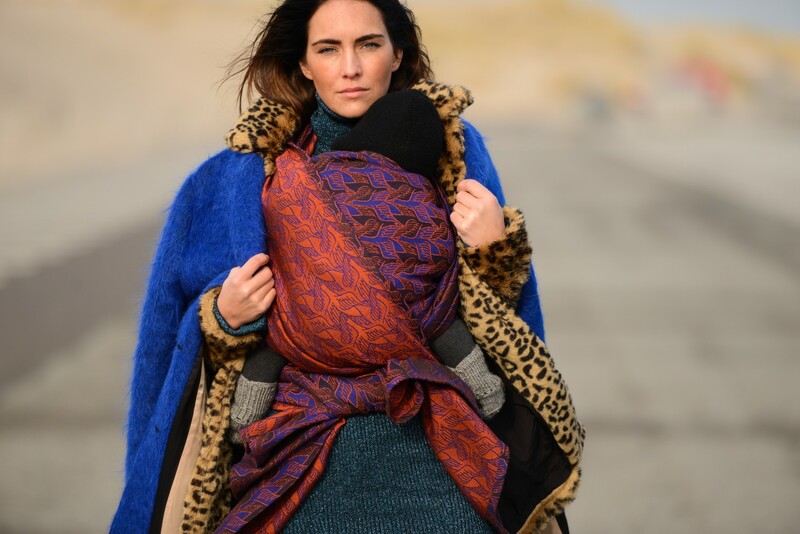 This elaborate weaving process is the very strength and beauty behind each one of our baby wraps, ring slings and Zeitgeist baby carriers – defined by its ability to produce stunning detail and fabric that provides both comfort and support. It is for these reasons we have chosen this incredible process to bring our designed concepts to life, as well as give modern families the stylish and supportive babywearing alternative they desire. At Artipoppe, we chose to work exclusively with the jacquard loom because it revolutionized weaving and continues to set high standards today. The loom was invented by Frenchman Joseph Marie Jacquard in 1801, and was the first loom that could create the intricate patterns only skilled craftsman of the time could produce. Today, instead of working off of a pattern of punch cards and hooks, the looms are computerized. Nonetheless, our weaving process produces a fabric that is specifically designed for wearing your child. The tight, intricately-loomed weaving technique gives the fabric a sturdy hold when pulled snugly around you and your baby. At the same time, the complex designs allowed by the weave produces a soft, supple, and breathable fabric that both you and your baby will cherish. In the world of baby wraps, the jacquard weave is known for its breathability and is therefore touted as the perfect weave for those warmer months. But here at Artipoppe we’ve created carriers that both transcend the seasons, and that are made specifically for them. What sets us apart is that while all of our carriers provide the strength and breathability that are a trademark of the jacquard weave, we work with a variety of yarns. Our signature seaweed blend is ideal for those humid summer months, whereas a cotton-cashmere blend regulates temperature and our distinctive bison and cashmere blends give you the warmth you need in the dead of winter. In addition, our fabrics are all conceptualized, designed and created in the Netherlands around the jacquard technique. We create both medium and thick fabrics that are distinctly weighted in your hand, and snug when wrapped around your body. It is this same weaving process that allows us to thread premium yarns into the stylish yet timeless patterns you adore wearing, as well as create carriers that provide the strongest support in the market. Browse our collections of exclusively jacquard woven wraps, ring slings and Zeitgeist baby carriers here.